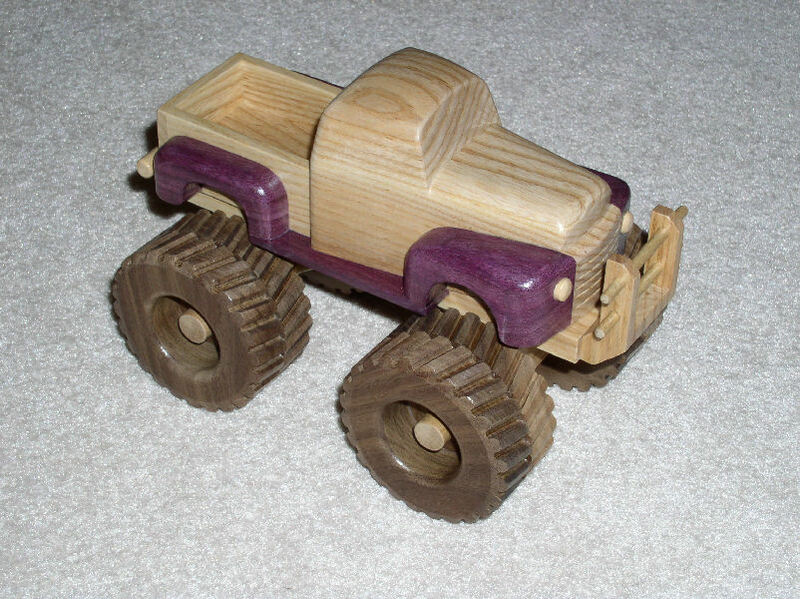 Never though that I would be making toys for a grandson, but here I am with my first attempt. 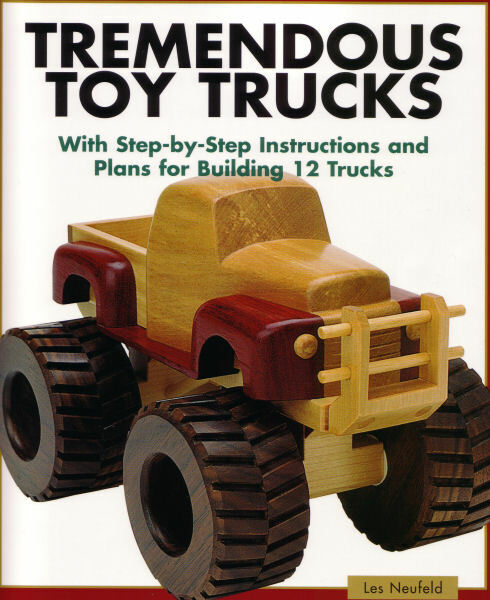 As toys is not my woodworking field, I started with shopping at my favourite store: Lee Valley, and found a great book with plans for 12 great trucks. The amount spent is approximate, as the material for this monster truck was taken from larger stock. The plan is from a book by Les Neufeld, titled Tremendous Toy Trucks, with step-by-step instructions and plans for building 12 trucks. The book contains good, easy drawings. Very clear instructions that are written in a very pleasant style. Everythings is complemented with lots of very useful pictures. I can highly recommend this book. 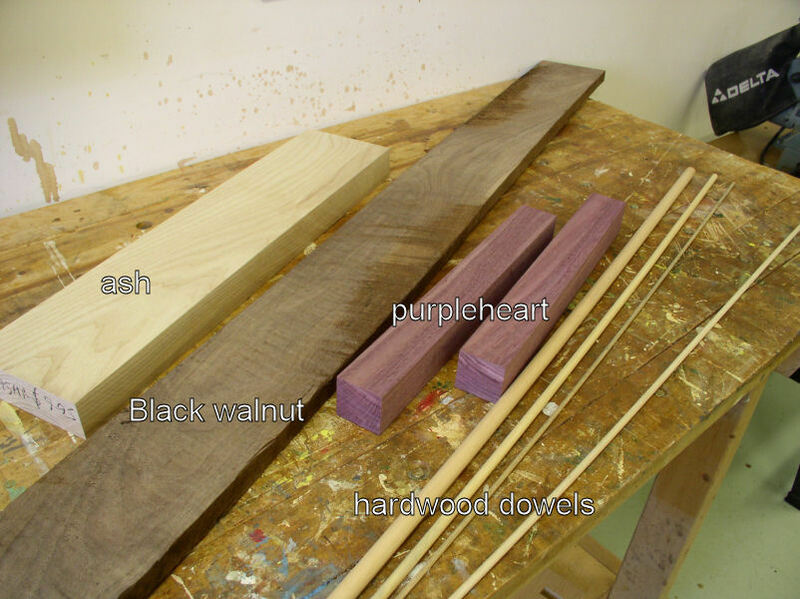 No detailed material list, as you can find that in Les Neufeld's book. 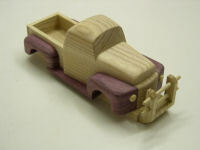 The book recommended black walnut for the wheels, purpleheart for the fenders and running board, and birch for the rest. Instead of birch I used ash. Why? Because. Power tools -- table saw, miter saw, planer, jointer, drum sander, drill press, router, hand drill. Hand tools -- wood files, sanding block, tape measure, clamps. 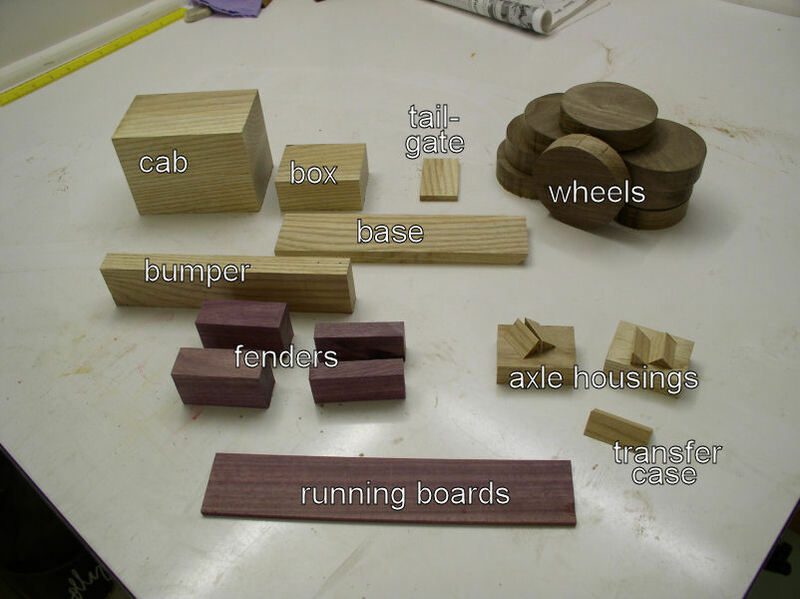 See detailed instructions in the book. 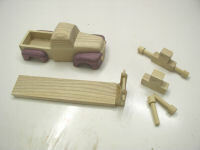 What is most amazing is that the construction requires only wood and glue. Not a single nail or screw is used! I used the table saw method to cut the profiles of the tires; worked like a charm. Les Neufeld makes heavy use of a disk sander, but I don't have one and had to rely on my drum sander in the drill press and wood files. Chapter 1, Monster Truck, page 5, monster truck plan. Bottom measurement between front of frame and front axle housing is shown as 9/16" which should read 1 9/16". 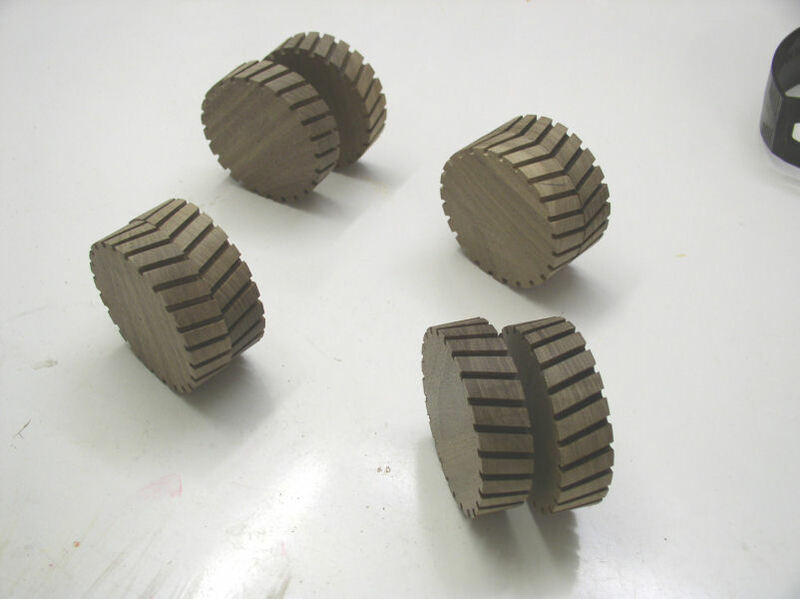 I found that determining the centre of the wheel wells and using that as the centre for the axle housings is a far more accurate method. 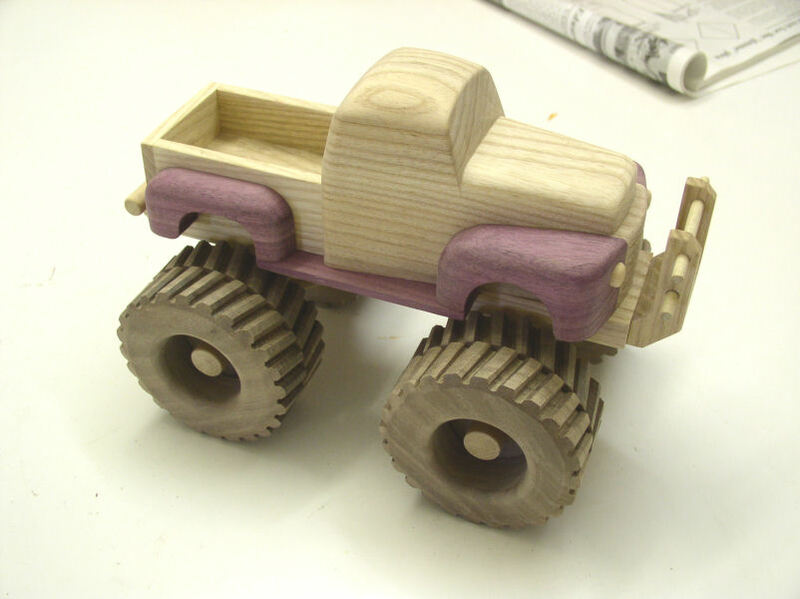 Chapter 1, Monster Truck, page 10, Frame, edge view. Bottom measurement is shown as 6¼" which should read 8¼". 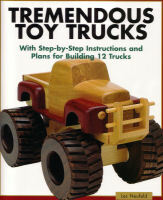 Tremendous Toy Trucks; Les Neufeld; The Taunton Press; ISBN 1-56158-399-5; 2001. Updated: 5-Feb-2019 19:20 EST -- Copyright © 2003-2019 Pieter van Vliet. All rights reserved.